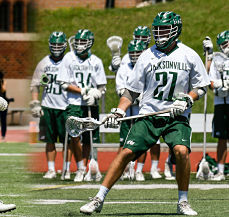 JACKSONVILLE, Fla. – The Jacksonville University men’s lacrosse team has expanded to include junior Andrew Mitchell and senior Zach Crotty to its corps of captains in leading the Dolphins in the 2019 season, as announced by head coach John Galloway Wednesday afternoon. Mitchell and Crotty join seniors Eric Applegate, Evan Tyler, and Hayden La Vangie, along with sophomore Dixon Smith, as team captains. 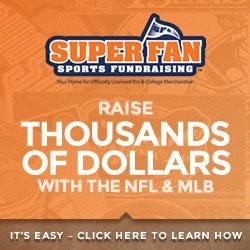 “As we continue to develop our program and compete both within our team and nationally, it has come to the coaches’ attention that each leader on our team leads in his own unique way. After careful evaluation of our development over the fall, we recognized that the timeless concept of ‘it takes a village’ couldn’t be truer for this current team,” stated Galloway. Though injury kept him from the field for the majority of last season, Mitchell appeared in the last four games, and recorded a shot in the regular season finale against VMI – a 14-5 victory that lifted the Dolphins in five of the last seven games heading into the SoCon Tournament. After transferring from Army West Point following his freshman season, Mitchell made an immediate impact. The Bethesda, Md. native started all 14 games, recorded 17 ground balls and finished the season second on the team with seven caused turnovers. Similar to Mitchell, Crotty appeared in five games the past two seasons but saw action in 12 games as a freshman. Last season, the Jupiter, Fla. native helped the Dolphins to wins against Mercer and VMI, and recorded a shot against the Keydets in the regular season finale. With 28 newcomers, including 24 freshmen and four transfers, a solid core of captains will be key to the success of the Dolphins in the upcoming season. The Dolphins open the 2019 season on Saturday, Feb. 2 at Detroit Mercy.